For ultimate storage flexibility at a great value, the Avantco line of stainless steel half door refrigerators can't be beat! Designed with a durable stainless steel exterior and interior, these units offer superior corrosion resistance and cleanability. Plus, their Dutch door design helps lower energy costs since you only need to open one half door at a time. These Avantco refrigerators are available in 29" and 52" widths depending on your storage needs. The 29" models come with 3 epoxy-coated wire shelves, while the 52" units come with 6. These shelves can be adjusted for convenience, and you'll even be able to store full size food pans thanks to the versatile shelf slide design. Featuring a bottom-mounted compressor, these units are easy to load and unload thanks to the raised cabinet height. 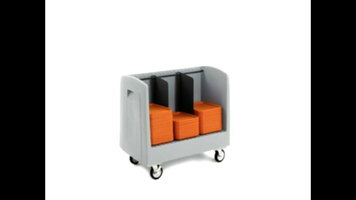 Plus, the included casters provide the mobility you need for more convenient cleaning and maintenance. Integrated door locks are also standard, allowing you to keep your products secure during off hours. These refrigerators maintain a temperature between 33 and 40 degrees Fahrenheit, ensuring that all your products are held in food-safe conditions. The digital temperature controls make it easy to set and monitor temps, while an automatic defrost feature helps prevent ice buildup. To help maintain safe temperatures, the entire cabinet is insulated with foamed-in-place polyurethane. Avantco refrigerators use eco-friendly R290 refrigerant with an ozone depletion potential of 0 and a global warming potential of just 3, making them an environmentally-responsible choice for your business. Store refrigerated product with convenience with the Avantco line of stainless steel half door refrigerators! Designed for the commercial kitchen, the units feature an all stainless steel construction and use environmentally-friendly R290 refrigerant to maintain proper temperatures. This video will show you why this line is the best value for any business. Organizing your kitchen doesn't have to be a hassle! Learn how easy assembling your Regency overshelf can be by watching this video. 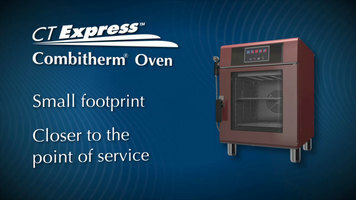 If you are looking to maximize on space, speed, and convenience, look no fur than the Alto-Shaam CT Express Combitherm Oven. 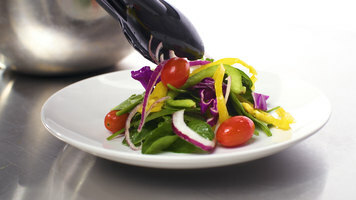 It can prepare foods in multiple styles with just the touch of a button! Learn about the wide variety of options and features available with Metro Side-Load Dish and Tray Carts! Metro offers adjustability, variety, and protection in all of its carts to allow you to safely handle all of your trays and dishes.